Gain the fertilizer industry intelligence you need to make informed business decisions. 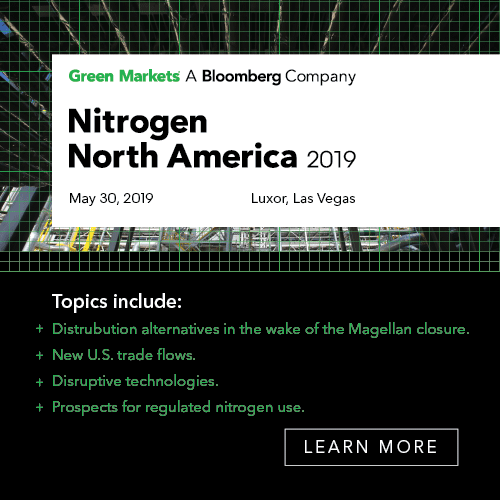 Each Green Markets event provides access to fertilizer industry experts that deliver the most current knowledge on industry trends. Join a Green Markets event and you’ll see how we create an environment for ideal learning about the latest themes shaping our industry. Green Markets events attract attendees from across the value chain in both the industrial and agricultural sectors. Companies range from fertilizer manufacturers, diversified chemicals, brand-name financial service firms (both the buy & sell side), consulting firms, distributors, agri-retailers, growers and government. 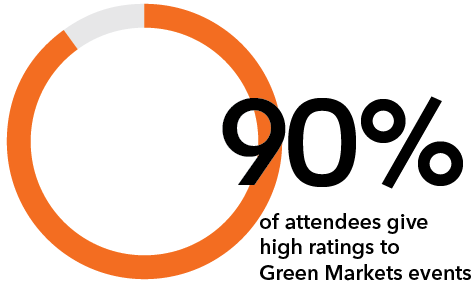 The typical attendee at a Green Market events holds a title of at least a Director level. With two-thirds of past attendees being in management or senior executive roles. These are highly qualified executive-level participants. Depending on the topic area, attendees may also be in managing director, analyst, sales manager, agronomist, R&D, sales, product development or procurement roles. Gain exposure across fertilizer and aligned industries with an economical and impactful sponsorship. With options to meet any budget, you’ll find a sponsorship solution that suits your marketing, branding, and business development objectives. Follow the Learn More button to explore in-person conference sponsorship packages, download a media kit for an upcoming show, or discover how sponsoring an interactive webinar can be an easy way to bolster your brand. Looking for even more targeted custom options? Choose from a variety of marketing services that combine trusted content, industry reach, and professional resources to meet your objectives with Green Markets Marketing Solutions. Green Markets provides its clients with unrivaled access to the entire fertilizer value chain.